Do you want top rated property management for your Edmond rental property? At Real Property Management Enterprises we provide the highest level of service in the industry all with guaranteed low rates. Located in the central park of Oklahoma, Edmond is just north of Oklahoma City. This fast growing city has a population of a little over 90,000 and still growing. Home of University of Central Oklahoma and Oklahoma Christian University, Edmond has many young students and has 10 nationally recognized Blue Ribbon Schools – the highest number in Oklahoma. If you need a place to live, search our current listings of available Oklahoma City rental homes and complete an online application. Contact us at (405) 463-2147 if you don’t find what you’re looking for. I have nothing but positive things to say about Real Property Management Oklahoma City. They begin marketing my properties immediately. They are responsive, professional and work very hard to keep me informed about what’s going on with my properties. Their entire group makes the process of owning rentals so much more streamlined and rewarding. I highly recommend them. Edmond Property Management at it’s Finest! 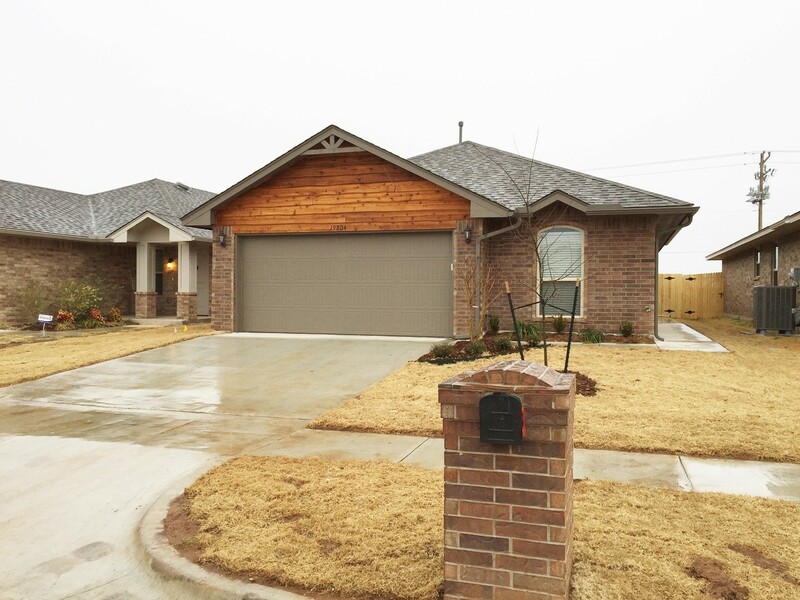 Exquisite Newer Home with 3/2/2 Open Floorplan~Storm Shelter w/ ALL appliances included! Wonderful layout in this 1364 ft² new home. Front door opens to an expansive living room that will wow all your guests. Continue to impress all friends and family in the gorgeous kitchen boasting granite counter tops, custom cabinets and a travertine back splash. How about having too much closet space?! Well this home has HUGE walk-in closets in ALL 3 bedrooms! Natural light makes this house amazing from the plethora of large windows. High ceilings throughout help an already great house feel airy and bigger than others. Want more??? ALL APPLIANCES INCLUDED AND you have an in ground, garage storm shelter when hiding from our Oklahoma Storms. An enormous wood privacy fenced in back yard will be the place for the kids or your next gathering. Great neighborhood amenities include community pool, community playground and clubhouse.